Graphene is one of the thinnest materials in the universe. After graphite (1974), fullerenes (1985), and carbon nanotubes (1991), graphene—another allotrope of elemental carbon—is now at the forefront of scientific curiosity. Graphene is used in different applications ranging from conductive ink to chemical sensors, light emitting devices, composites, energy, touch panels and high frequency electronics—as its unique electronic, mechanical, optical, thermal and chemical properties have made it most sought-after in nanomaterials science. The IITB-Monash Research Academy is a Joint Venture between IIT Bombay and Monash University. Research scholars study for a dually-badged PhD from both institutions, and enrich their research and build collaborative relationships by spending time in Australia and India over the course of their degree. Established in 2008, the IITB-Monash Research Academy aims to enhance scientific collaborations between Australia and India. Graphene-based nanocomposites, derived from the decoration of graphene sheets with metal/metal oxide nanoparticles, are emerging as a new class of exciting materials that hold promise for many applications. The desirable combinations of their properties that are not found in the individual components provide a new way to develop graphene-based nanocomposites. Apart from enhancing the properties of graphene, the metal and metal oxide nanoparticles act as a stabiliser against the aggregation of individual graphene sheets, which are caused by interactions between graphene layers. Therefore, more efforts and new strategies to synthesize graphene-based nanocomposites are critical. The synergistic effect between graphene and metal/metal oxide nanoparticles in the graphene-based nanocomposites offers great potential for various applications, including energy storage and energy conversion devices. Therefore, the interest in graphene-based materials has been multiplying, due to their peculiarities in combining desirable properties of building blocks for a given application. 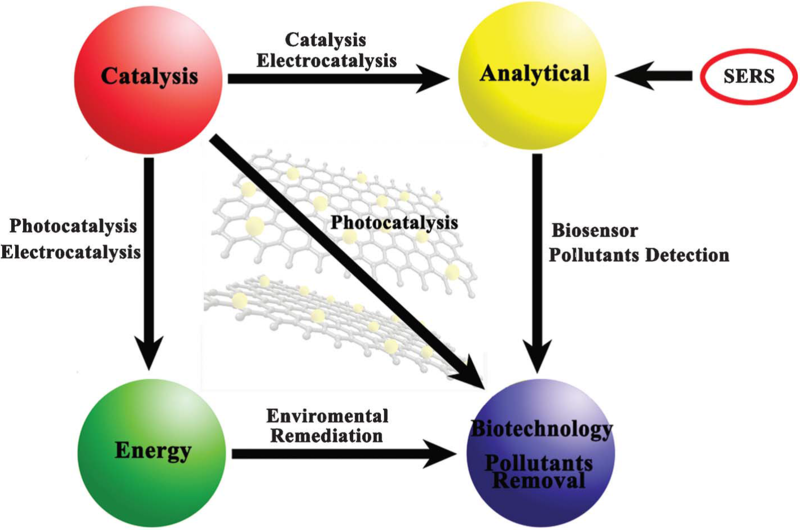 Many efforts have been made to uniformly combine different varieties of nanomaterials with graphene and explore their application in fields like sensing, catalysis, energy, analytical, biotechnology and removal of pollutants. 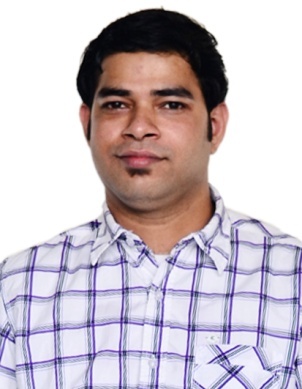 Prasanta, under the supervision of Prof Dhirendra Bahadur and Prof Dan Li, has synthesised the graphene-metal and 3D-graphene-metal-based nanocomposites by various chemical reduction methods. The as-synthesized graphene-metal nanocomposites and 3D-graphene-metal nanocomposites are used for electrochemical sensors, advanced catalysis, electromagnetic shielding and energy applications.